At right is Titian’s Self-Portrait of 1566. Can one assume that a painting is only considered a portrait if it is titled after a specific person who was also the model? 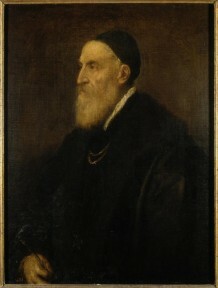 A portrait is defined by art historian John Gere as “an image in which the artist is engaged with the personality of his sitter and is preoccupied with his or her characterization as an individual.”1 While this definition presupposes that a sitter is present, the answer is no; classifying portraits solely on their likeness to a person does not sufficiently verify an individual because a personality within the sitter needs to be evident according to the entry for portrait in the Dictionary of Art. Jane Turner, ed., The Dictionary of Art (New York: Macmillan Publishers Limited, 1996), 25: 274-275.